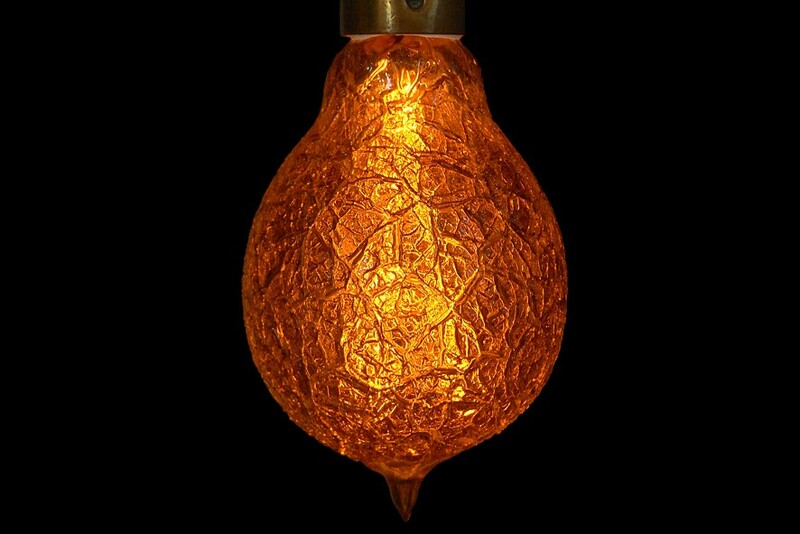 During the 1890s The Edison-Swan United Electric Lamp Company excelled in the manufacture of so-called Fancy lamps, and offered a range of several dozen different types each having some feature of decorative value. Among the most intriguing both for their appearance as well as the skill required in their manufacture is the Iced Glass model. The broken glass surface causes multiple refraction of the light and a highly attractive effect when illuminated. 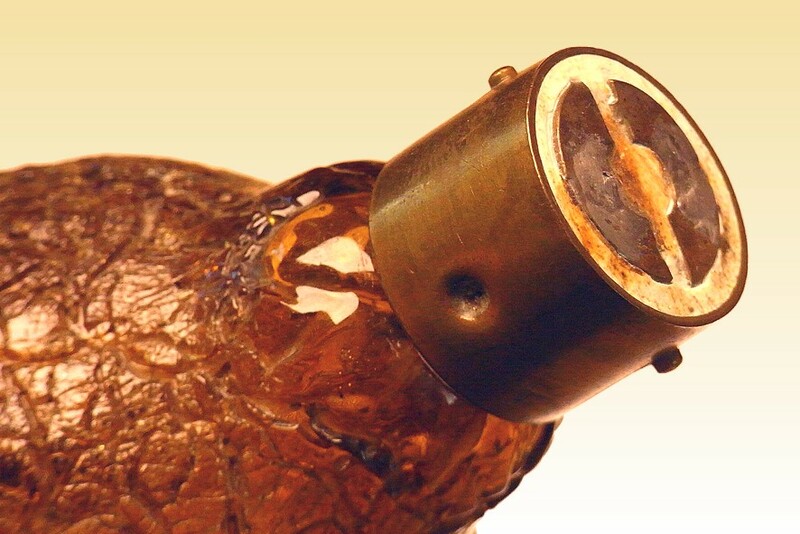 The rest of the construction of this lamp is similar to ordinary types of its era, having platinum lead wires pinched directly into the neck of the bulb. The filament is secured with a deposited joint of carbon. The bayonet cap is made from standard pipefitters' 7/8" (22mm) brass tubing with plaster of paris insulation. 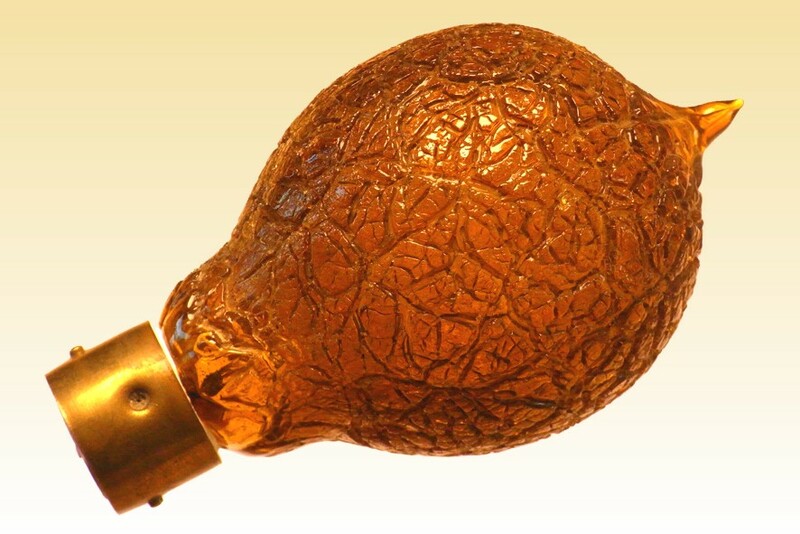 In view of the very high list price of these lamps it is unlikely that few, if any, were sold. The only known examples are in the Ediswan Collection and with private collectors whose lamps originated from the same.